Rocky could be the greatest underdog of all time. There is a realism to Rocky which makes the main character’s struggle and his overcoming of the odds so much more enjoyable and realistic. Rocky isn’t suffering from a brain injury or a loss of all his family or some other unfortunate tragedy. Rocky is just suffering from a life where opportunities are hard to come by and nobody is giving you a hand for nothing. From the outset you are on his side. 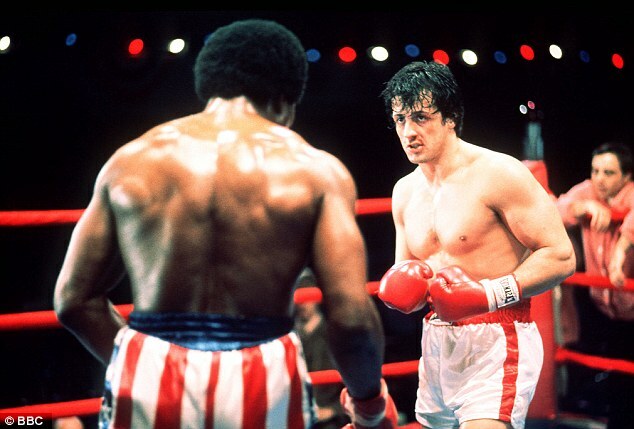 Rocky is Sylvester Stallone’s greatest role. It is the character he is most closely linked with (although John Rambo must come a close second) and it is probably no coincidence that Stallone wrote the screenplay which would become this movie. Stallone gives Rocky an innocence that means you want to be on his side. He is an enforcer for a loan shark but refuses to break fingers, he wants to box but doesn’t have enough natural talent to be taken seriously, he wants to date his best friend’s sister but she is reluctant and shy. The obstacles stacked against Rocky aren’t insurmountable but they are real. That realism plays throughout the movie. This feels like an indie film before that concept was a recognisable one. Rocky and the people around him don’t live glamorous lives and they just want to get to the end of the day, week or month with some money in their pocket. Burt Young’s Paulie, Rocky’s best friend, is the perfect example of a man who is trying his best but always ends up at the bottom. Were Rocky seems to be the perpetual optimist, Paulie sees the world as half-empty and feels like everyone owes him something. Even the romantic story of Rocky and Adrian, played by Talia Shire, is done without frills or grand gesture. We see Rocky visit Adrian everyday to tell her a joke and finally persuade her to succumb to his charms. Although moments feel slightly creepy now we live in a (supposedly) more enlightened age, this never feels like manufactured romance and you are pulling for the two to get together and bring happiness to each other’s lives. With all of this drama, and there is plenty, it would be easy to overlook the fact this is a boxing movie. Rocky is arguably the boxing movie which sets the template and blueprint for all that come after. The now iconic “Rocky theme” fits the training montages perfectly while those montages themselves have become boxing movie necessity. 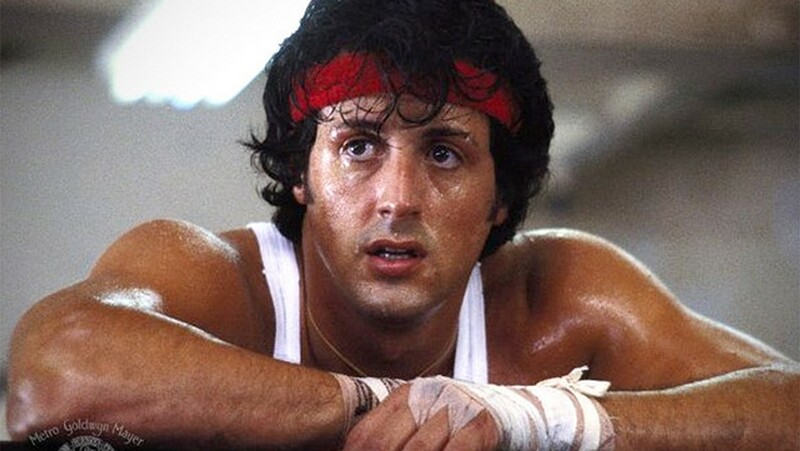 You will still get goosebumps as you see the prepared and trained Rocky run up the steps and bounce in the now famous hands-rose pose which has become movie folk-lore. Which is why, in a movie of realism, the boxing aspect of the story is probably the weakest part. Carl Weathers plays an effective villain in Apollo Creed and brings the bravado and insults that adds some balance to the more relaxed and seemingly timid Rocky but the idea of the Heavyweight Champion of the World challenging a nobody feels slightly like a stretch. Add to this the fact that the final boxing match looks nothing like actual boxing. No defence, routine back and forth and a camera angle which does no favours for either actor. The two may look the part but the boxing lacks the realism that the rest of the movie has in such quantity. 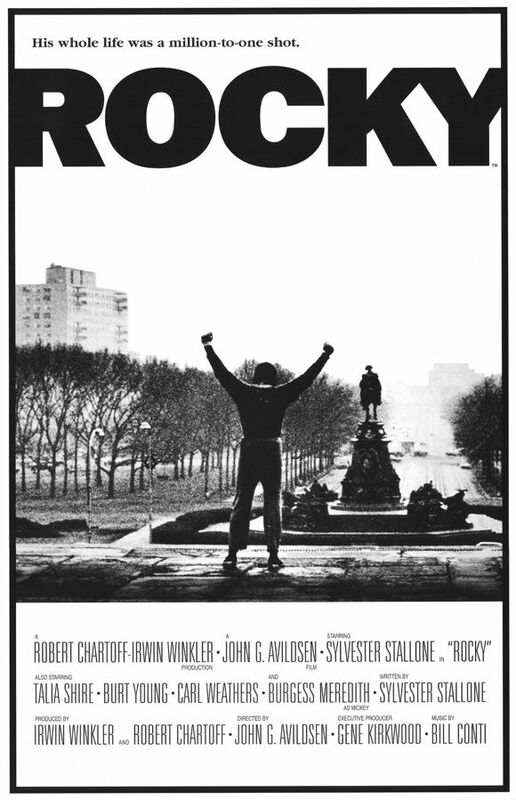 Overall, Rocky is a classic underdog story which wrote the rules on how to deliver a boxing movie. Stallone is never better than when he is Rocky and he is surrounded by realistic characters who bring gritty drama to the sports movie. Overlook the strained situation that gets our hero into the ring, and then the poor match that follows, and you have a drama which delivers a realistic struggle.